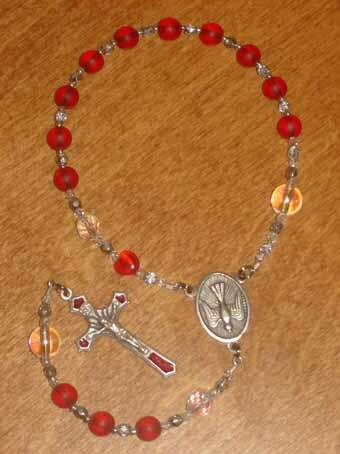 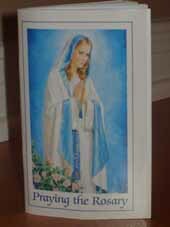 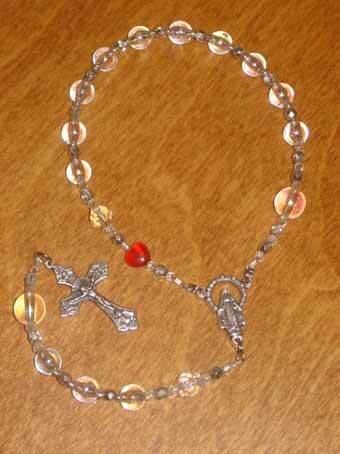 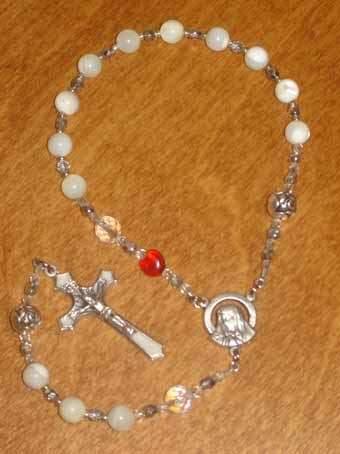 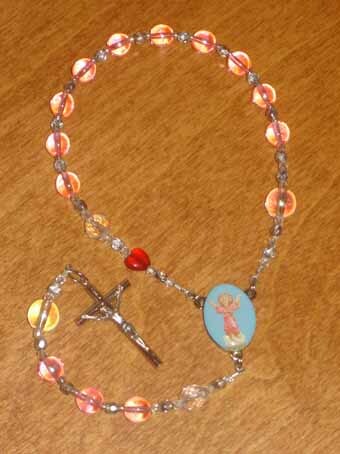 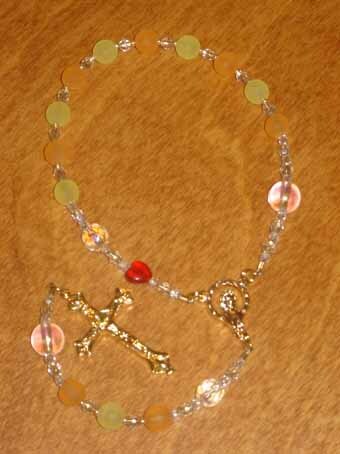 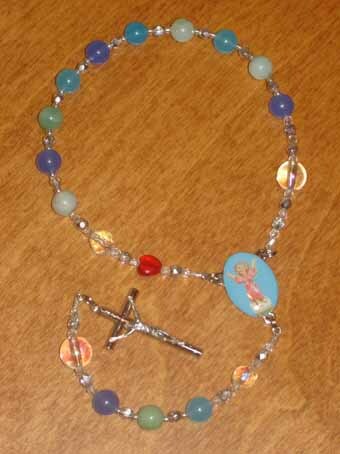 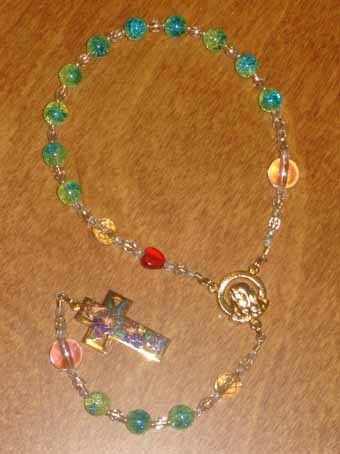 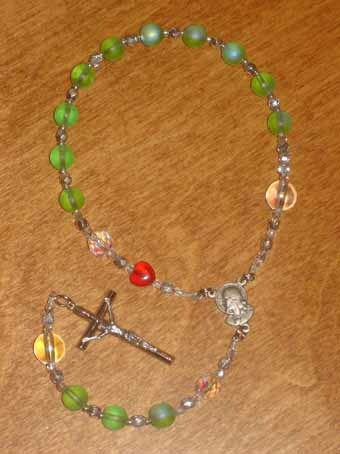 This page features First Communion & Confirmation one-decade rosaries, as well as ones appropriate for baptismal, birthday and Easter gift giving. 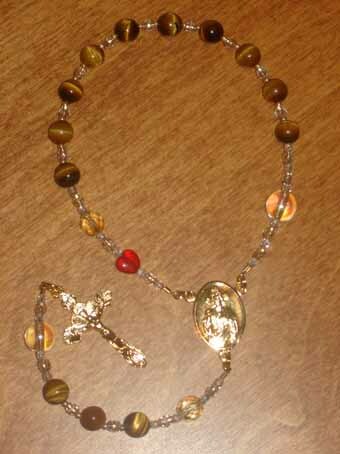 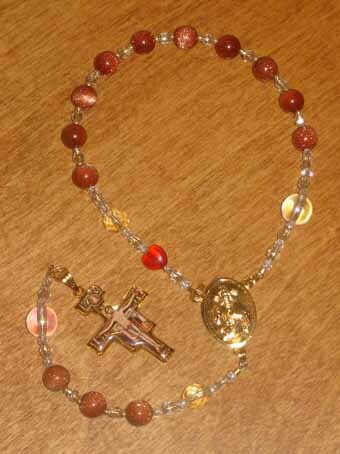 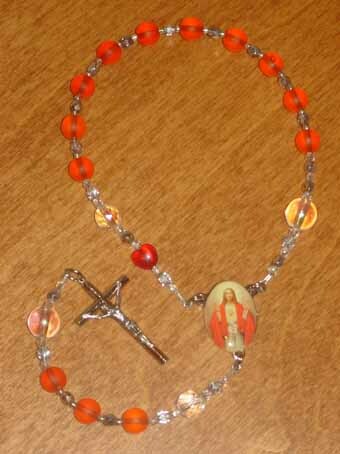 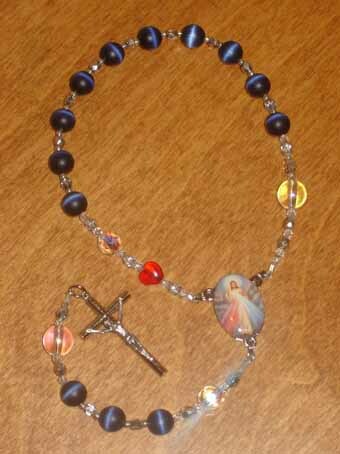 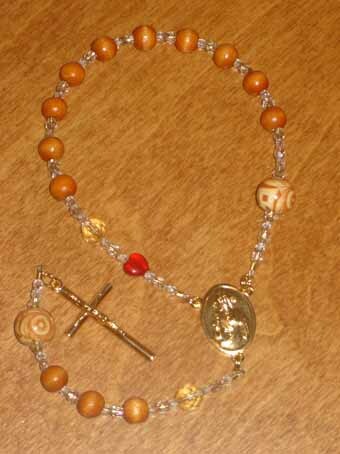 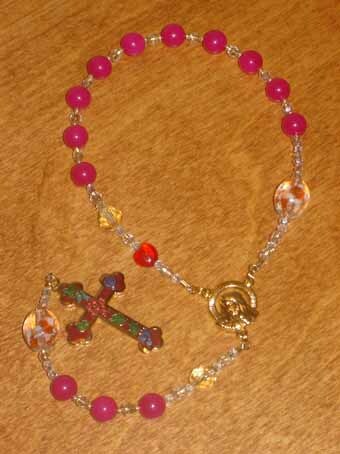 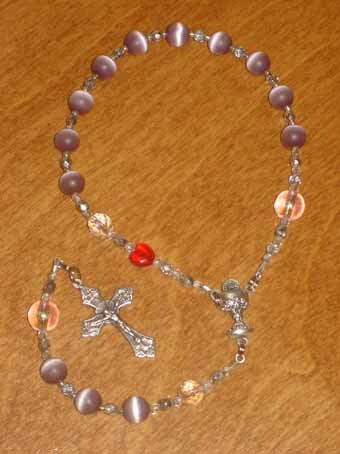 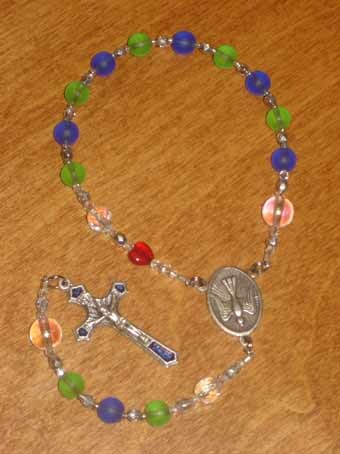 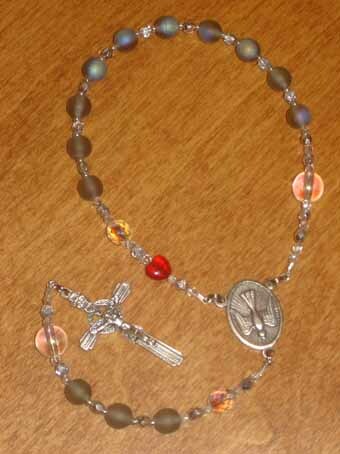 They have a simplified design and, unlike all other rosaries, include distinctive beads for the 'Glory Be' & 'O my Jesus' prayers (view a picture of the bead pattern in our rosaries). 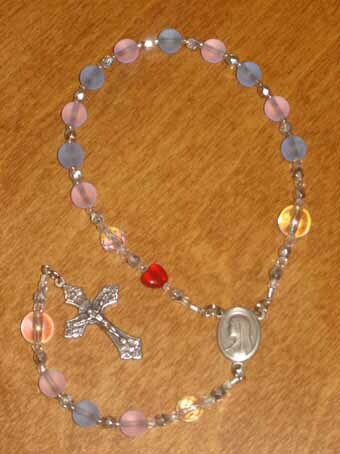 Note that the crosses and centerpieces are interchangeable. 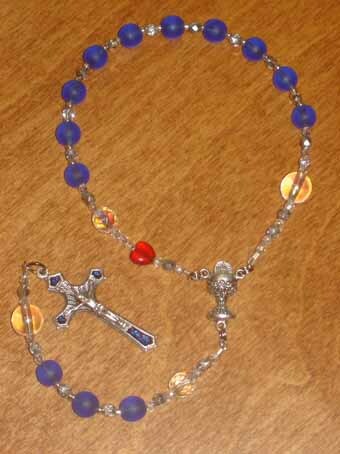 blue, it is well suited to a boy.